Chopping herbs and got a bit too close to your thumb? 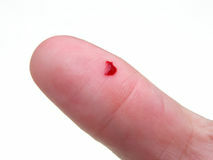 This time it’s mostly a fingernail, yet, it is deep enough to bleed? This wound is very common, and most of us have been there. Blood helps clean wounds, so a little bleeding is good. Most small cuts and scrapes stop bleeding pretty quickly, but you can help by applying firm, gentle pressure with gauze or a tissue. If blood soaks through, put another piece of gauze or tissue on top, don’t remove the old one or you may separate the wound and start the bleeding again. Ouch! Got another cut or scrape? Your first step is easy: Soothe and clean the wound with cool water. Then remove any pebbles or splinters with alcohol-sterilized tweezers. Gently wash around the wound with soap and a washcloth. Do not use irritating soap, iodine, alcohol, or hydrogen peroxide — fresh, clean water should be all you need. If your scrape will be rubbed by clothes, cover it with a bandage. An uncovered scab or scrape is at risk of reopening or infection. 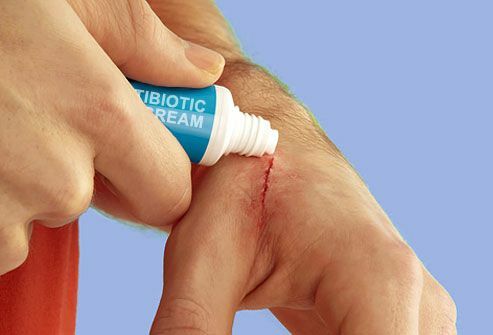 When in doubt, cover it up with an adhesive bandage to keep out the bacteria, then change the bandage daily. If you feel like it’s itchy, blistery, or burning under your bandage, you may have an allergy to the adhesive used in some bandages. For sensitive skin, try switching to sterile gauze and paper tape, or an adhesive-free dressing. Almost as soon as you get a cut or scrape, your body begins healing the injury. White blood cells attack infection-causing bacteria. Platelets, red blood cells, and fibrin create a jelly-like clot over the wound and soon a protective scab forms. Most of us have had a small burn or two. To treat one, cool the area right away with a cold cloth or cool water to keep the skin from holding the heat and continuing to burn. Afterward, wash the burn with soap and water and dress it lightly. Leave any blisters that form alone — they help to protect the skin as it heals. 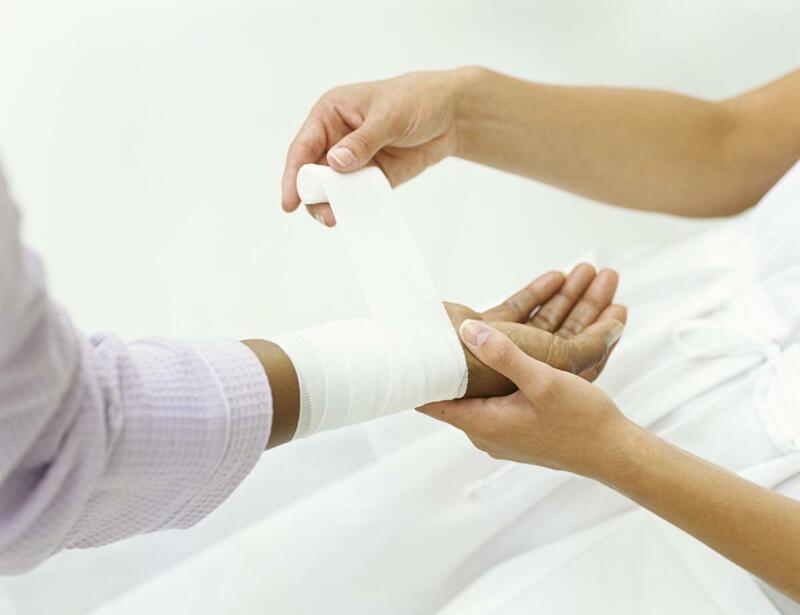 Taking care of a surgical wound is similar to taking care of cuts and scrapes. You’ll probably have to protect the incision with a bandage for a few days, and change the dressing daily. Follow your doctor’s instructions for taking care of stitches or staples. You’ll also want to keep the area dry, and report any increase in bleeding or redness to your doctor. 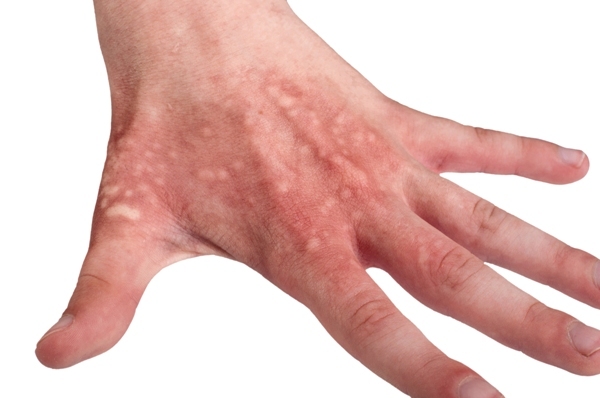 If there’s skin redness that spreads out from your injury, swelling, green or yellow fluid, or increased warmth or tenderness around the wound, you may have an infection. Other signs include swollen lymph nodes at your neck, armpit, or groin, as well as body aches, chills, or fever. If you have any of these signs, give your doctor a call. won’t stop bleeding after 5-10 minutes of pressure. is deeper or longer than a half-inch. was caused by something dirty or rusty. has dirt or gravel stuck in it. or was caused by an animal or human bite. Also, make sure that you’re up to date on your tetanus vaccine, and keep your eyes on your kids if you have any. It’s never guaranteed to live wound-free, but try to avoid it if you can, and be careful chopping those herbs.